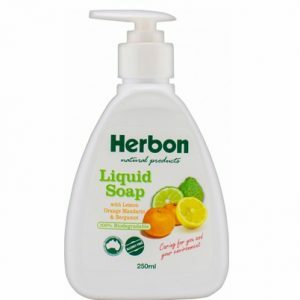 Herbon Moisturising Cream is suitable for all skin types. It helps replenish the natural components depleted in rough dry skin. This allows the skin to remain Smooth, Soft and Supple. Excels as a facial cream. Also suitable for babies delicate skin. INGREDIENTS: Purified Water, Cetyl Macrosol 1000, Almond Oil, Olive Oil, Cetyl Steryl Alcohol, Manucol Oil, Glycerine, Balm Mint, Orange Flowers, Lemon Oil, Rose Flowers, Violet, Camomile, Preservatives made from sugar cane and citrus fruits. This moisturising cream is rich and smell fresh, the only cream that doesn’t make my eczema patches sting. I recommend this moisturiser cream to all skin types and I oily/combination skin and this still does the trick. The Herbon moisturising cream has got to be the decent, most simple yet most effective moisturister for people of all ages, gender and skin concerns.